Cognition in Parkinson’s disease (PD) is generally categorized into three stages: early, moderate, and late. Not everyone with PD will experience this change in mental processing, but for those who do, the symptoms may occur at different times during the progression of the disease. Around 30% of people with Parkinson’s will have some kind of cognitive impairment. Some will have it at the time of PD diagnosis, but the majority won’t experience it for years after the onset of Parkinson’s. Cognitive change impacts the way you think and process information. It is considered progressive, just like the motor symptoms of PD. In fact, they tend to decline together because the brain changes that cause movement difficulties can also cause changes in memory and thinking. Having late stage PD with decreased cognitive function can make daily activities seem difficult, leading to decline of independence. Many people find just getting dressed to be a challenge. Changes in thinking can manifest as confusion, visual hallucinations, delusions, and agitation. These dramatic changes in the way someone thinks usually result in severe functional deficits. Altered thinking and/or memory loss can be frustrating and frightening for both the patient and the caregiver.2 Stress, medication, and depression can exacerbate these changes. In late stage PD caregiver responsibilities generally increase, as they are needed to keep someone with PD safe and comfortable. To start that conversation, below are 10 questions to ask your doctor.2,3,4,5 These questions are just a starting point because each person experiences PD differently; however, adapting to caring for someone with late stage PD can be challenging. Knowing you are not alone, and having resources for additional information and support, can make the task more manageable. What does cognitive change really mean? What parts of our life will change? Is cognitive change reversible? Are there medical reasons other than PD? Do more physical changes occur at the same time as the mental changes? Are there any tests to diagnose the cognitive changes? Can changes in memory and thinking be just part of getting older? Are there specific medications to treat psychological issues? 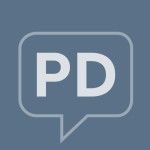 How do those drugs interact with regular PD medications? Can this progress to dementia, Alzheimer’s, or Lewy Body dementia? How are those all different? Some people say they are “going crazy,” seeing or hearing things. What is the difference between a hallucination and a delusion? Does everyone get them? Should a caregiver’s response be different in those instances? What factors can affect someone’s thinking and what changes need to be made at home?It’s helpful to identify triggers (e.g., noise, isolation, medication, time of day/light) and discuss personal safety (e.g., fall prevention, rearrange household furniture, safety equipment). How do caregiving needs change? Can someone with severe cognitive deficits ever be alone? What can be done to minimize or alleviate caregiver and family distress? It is helpful to seek outside help and support services. It is also helpful to identify community resources.